If you long for the days when children’s book illustrations were hand-drawn or painted and were full of a poignancy often lacking in computer-generated pictures, look no further than A Place To Live. Part of Home Grown Books‘ Toddler Series, this board book features the gorgeous and dreamy watercolor paintings of artist Case Jernigan. Simple yet descriptive text accompanies the imaginative images, making A Place To Live a wonderful book for beginning readers as well as little listeners on their way to dreamland. The board book is made in Brooklyn using 100% recycled paperboard, wind power, and vegetable-based, no VOC inks. If you long for the days when children's book illustrations were hand-drawn or painted and were full of a poignancy often lacking in computer-generated pictures, look no further than A Place To Live. Part of Home Grown Books' Toddler Series, this board book features the gorgeous and dreamy watercolor paintings of artist Case Jernigan. Simple yet descriptive text accompanies the imaginative images, making A Place To Live a wonderful book for beginning readers as well as little listeners on their way to dreamland. 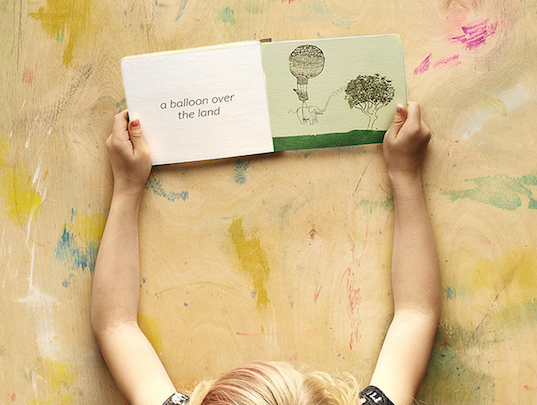 The board book is made in Brooklyn using 100% recycled paperboard, wind power, and vegetable-based, no VOC inks.